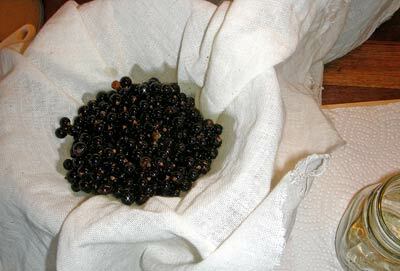 Not long ago (ok, ages ago) I started to infuse some sweet almond oil with fresh organic juniper berries. 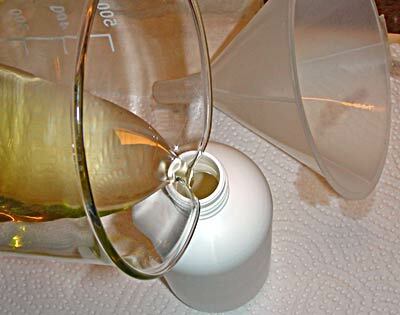 After the obligatory 4-6 weeks of turning the bottles every day (and doing the occasional nose test to ensure all was progressing in a proper manner), I pulled out my equipment to strain the oil, and then realized there was no cheesecloth. One would think a dairy country like Denmark would be bursting with cheesecloth, wouldn't one? Apparantly not. After visits to several fabric stores, hobby stores, kitchen supplies stores – even supermarkets and cheese shops – I started phoning around to spare myself travel time. Welcome To Cheesecloth City - All Cheesecloth All the Time! Yay! Finally a store that carried cheesecloth! My excitement over seeing an actual bolt of cheesecloth caused me to buy several meters of the stuff. (I can positively say there is no way am I going to run out of cheesecloth any time in the near future). 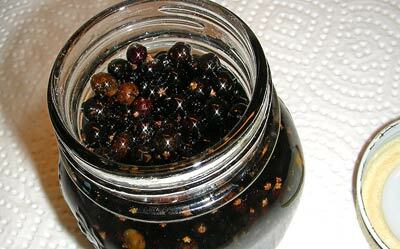 After washing it (with soapnuts), I could finally get back to the juniper-infused oil. 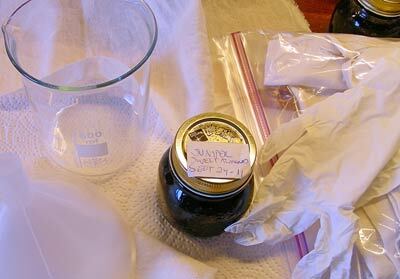 Place the funnel over the jar/beaker and line it with cheesecloth. Strain the infused oil. Give it ample time to drip through. For this next part, it's a real good idea to put the gloves on. Collect the edges of the cheesecloth and squeeze to get the final amount of oil out. 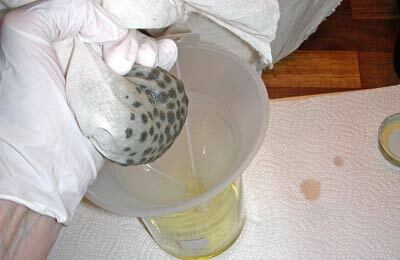 Pour the strained oil into a clean container. Label and date the container. I'll bet you're wondering why I have 2 bottles here. I infused 2 different sweet almond oils and will be sharing what I used them for real soon! PS: I was quite amazed that the oil wasn't all that 'juniper-scented' as I strained it. Next batch, I am going to try crushing the berries before straining to see if it makes a difference. Congrats Lise on your first attempt. It took me about 4 batches to get get the feel of making infused oils. Once you get it down and you will it's a whole new world of experimenting with different ingredients. I'm glad you didn't cook it like some people. In my opinion and from my batches that I made with heat. The ones without it came out better. I wanted to say great job! How do you ensure that the oil doesn't spoil? I've just set up a small batch of black tea in almond oil, was thinking it only needed to sit a week... but maybe i should leave it longer... :D I'm excited to see what happens. Your black tea in almond oil sounds absolutely wonderful. What are you going to use the oil for afterwards? I was thinking of putting it in a cheap roller ball vial and using it as an short acting portable perfume. or in place of plain oil in a homemade lotion. But I think It will probably end up in the roller ball. Is there a link to part one? I live in sedona, az and am surrounded by juniper bushes/trees. 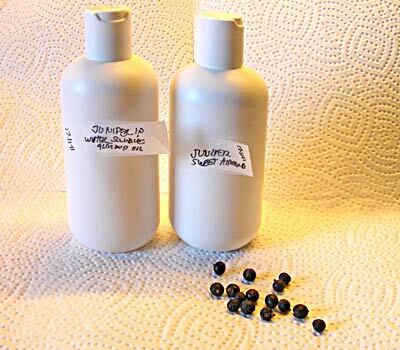 Looking to make my first attemp at a fresh juniper infused oil for massage. Thanks! Hi Anon- check the bottom sentence of this post. It is a link to part 1. PS. I envy you living in Sedona- what a gorgeous area! Hi from 3 years later! Did you try crushing the juniper berries? 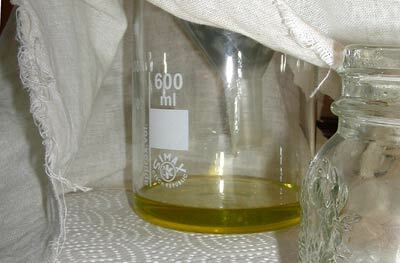 I have some and I would love to try this oil infusion. Thanks! Hey there Kristen - Thanks for checking back! I am embarrassed to say this is STILL on my to do list. I have in the meantime had communications with several folks who do infuse their own oils and everyone I've asked agrees that crushing the berries first makes for an optimal effect. How did yours turn out?